Oil exploration and production company Aminex (LON:AEX) recently announced that during the production testing on the recently drilled Ntorya 2 appraisal well, no formation water was produced, leading the company to conclude that the area contains a significant volume of gas. Aminex will now complete a full analysis of all technical data prior to applying for a 25-year development license over the Ntorya appraisal area. 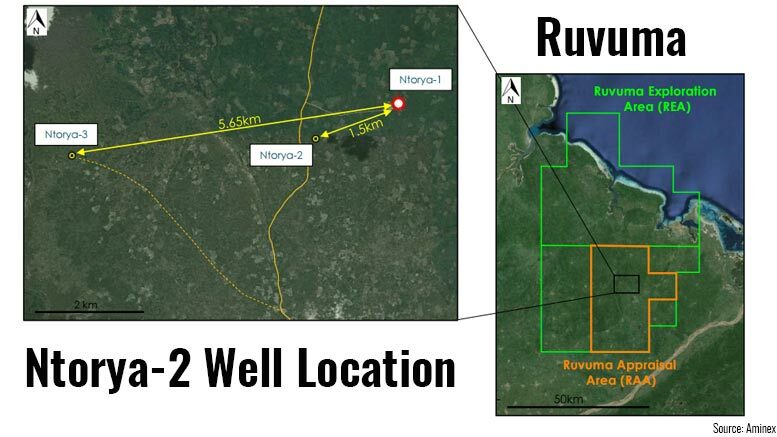 Ntorya-2 was drilled in the onshore Ruvuma Basin of southern Tanzania, on the Mtwara Licence (Aminex 75%, operator) that is governed by the Ruvuma Production Sharing Agreement. In an exclusive interview with TanzaniaInvest in July 216, Bhattacherjee explained that Aminex does not have the financing needed to develop Ruvuma and that the appraisal was needed first. “After we have the gas volume approved, we’ll decide what to do: dive into the project with financing investors, or raise the bank finance necessary to continue”, Bhattacherjee concluded.